As we approach the New Year, one of my favorite minerals is selenite. It has one of the most pleasant capacities to clear any space or crystals through its presence by intentionally waving it through the room or simply holding it to energize and clear one self. I encourage you to place your daily stones each night on or near selenite to clear and recharge. Personally, I keep a couple of slabs of selenite where I place stones to recharge and clear. If I have worn the stone for an extended time, I leave it on the slab for a month or two before returning to it for daily use. For those that have attended my workshops, I tend to build an altar of selenite. It typically is 4 or 5 pieces that are 50-70 pounds each. The purpose of the altar is to clear the space as well as whatever each person has brought into the workshop that should have been left outside. In addition, it begins to melt the darkness that prevents that person from being able to bring critical issues to light and therefore to conscious awareness and healing. 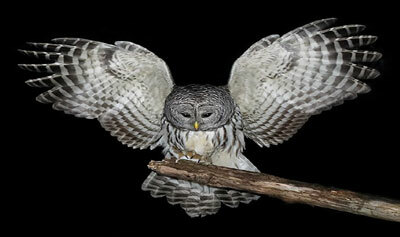 The next workshop is Owl Medicine in January. We have a few spots for those willing to fly silently into the darkness of the new year to find your light. May your New Year be filled with bountiful blessings. All varieties of gypsum, including selenite and alabaster, are composed of calcium sulfate dihydrate (meaning has two molecules of water), with the chemical formula CaSO4-2H2O. Selenite contains no significant selenium; the similarity of names comes from both substances being named from the Ancient Greek word for the Moon. 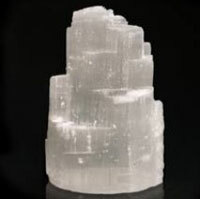 The etymology of selenite is through Middle English selenite, from Latin selenites, from Greek selenites (lithos), literally, moonstone or stone of the moon, from selene (Moon). The ancients had a belief that certain transparent crystals waxed and waned with the moon. From the 15th century, "selenite" has referred specifically to the variety of gypsum that occurs in transparent crystals or crystalline masses. 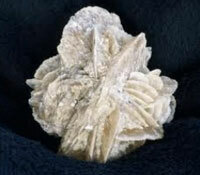 Generally, it is believed that selenite promotes intellectual clarity and competency. It does so by supporting clarity of mind, thereby expanding one's awareness of the self and of one's surroundings. 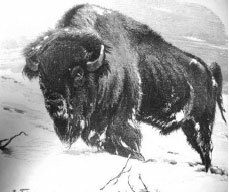 It can be used for past lives as well as future lives being those which are probable at this time, if one's physical life proceeds in the direction in which it is now going. This access is provided by rubbing the crystalline structure with a finger or thumb; during this activation process, when the meditative state is attained, visual images will begin to appear. It should be noted that the access to the future is also compatible to this life--one will be presented with situations which are very likely to occur during this life on this plane dependent upon the course of progress one chooses during one's lifetime. It has been used to decrease reticence and to assist one in the acquisition of materialistic pursuits related to business. It can also assist one in issues of judgment and provide the required insight and ameliorative energies to promote justice during adjudication of disputes. It has been used as a sharp sword of awareness, cutting through unconscious assumptions and promoting the re-connection between the conscious self and the mystic which lives within the super consciousness. It balances scholars and heavy intellectuals. It can be used to provide both flexibility to ones nature and strength to ones decisions. It allows one to see the inner workings of any situation and to understand the superficial and the deeper meanings inherent in same. It also allows one to access the interior of the physical body in order to understand existing disorders, providing information with respect to the "fix". It has been used to align the spinal column; allowing the selenite to traverse the spinal column from the base to the back of the head seems to remove energy blockages, while traversing in the opposite direction seems to smooth the flow of energy. It can also promote flexibility within the muscular structure. It can be used to provide amelioration of disorders associated with poisoning due to metal fillings of the teeth. It can be used to facilitate cellular regeneration and the protective membrane surrounding cells; hence providing a tool to both prevent and to overcome damage caused by well known free radicals' examples include cancer, age spots, wrinkles and light sensitivity. it can also be used to correct disorders and deformities of the skeletal system, and to stabilize epileptic disorders. It has been used to extend ones life span. It has been used to assist in the digestion and absorption of minerals. After being used for a while, a gemstone or mineral can be drained of its energy or soak up undesirable energies. Selenite can be used to clean and recharge other gemstones and minerals. Cleaning can be done when one places gemstones or minerals on top of the round, mushroom-looking selenite. With selenite that occurs in long crystals or spears, the stones can be placed on top in a row, or by placing the selenite point towards a quartz crystal and the quartz crystal towards the rock or mineral to be cleaned. This combination of selenite and quartz function as a focusing energy and will super-clean any stone usually within 15 seconds. Another method is to put the stone in distilled water and place the container in the sunlight. Intention that the stones be cleansed empties them. The water absorbs the negative energy and does not release the energy into the immediate environment. This is especially helpful for healing stones. 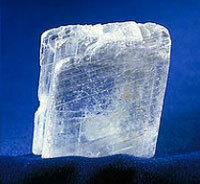 Selenite can be used in various ways to "charge" a stone. Such charging makes a stone more powerful in its energetic impact. A very simple way to increase a stone's potency is to point a spear-shaped selenite at a mineral for a few minutes. Also, stones left sitting on a selenite spear or cluster for longer than it takes to clean them, get highly charged and project their qualities out to easily fill not just an entire room, but a large hall or warehouse as well. Selenite spears can be used to imprint the metaphysical properties of one gemstone on to another. This is done by placing the imprinting mineral behind a selenite spear and the other mineral in front. In a few moments, the mineral in front of the selenite spear will be imprinted with the property of the mineral behind. The imprinted mineral will now carry the metaphysical properties of both stones for at least 3 days. This method is particularly useful when the mineral you own is too large, too delicate, or too inconvenient to carry with you. Charge an easy to carry stone and have both energies available as a pocket companion.